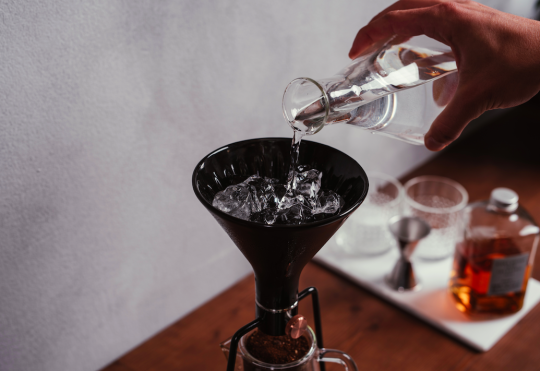 HOW to make Cold Drip Coffee? Want to show your friends what "chill out" really means? Impress them by preparing a slightly different caffeinated potion: brew with cold drip! Why should it be worth the wait? Cold extraction retains the unique flavors of each coffee bean and eliminates most of the bitter oils. So you are left with the most delicious coffee taste … and truly impressed friends. 💡 GOLDEN IDEA: Serve your cold drip with some ice cubes and spice it a bit by adding a mint leaf + orange slice + a bit of cinnamon. Yum!